Swab samples for mycological analysis must be taken using dry swabs re-packaged in transport tubes without transport medium. The types of swabs used by physicians for clinical specimens should not be used for the collection of environmental fungal samples. For the collection of bacterial swab samples, we recommend the use of Amies gel transport medium without charcoal. In our experience, this is the best general purpose transport medium for bacterial swab samples. We can ship out suitable collection swabs at a nominal charge, or direct you to a suitable brand and supplier. Swab samples must be received at the laboratory no later than 48 hours after the samples were taken. We regret we cannot process samples received beyond this time-frame. Samples must be submitted in clearly labeled specimen bags or other suitable packet with one sample only per packet. Multiple sample packets should be sealed together inside an envelope or box with a completed sample submission form attached. Any bulk materials that are damp or moist must be contained in a water-proof packet. Damp materials must be received at the laboratory no later than 48 hours after sampling. Samples arriving beyond this time frame cannot be processed. Please note that work will not proceed without a completed sample submittal form. Fast-food containers such as disposable paper or Styrofoam cups. 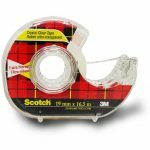 Tape lift samples should be taken using an optically clear tape such as 3M Scotch Brand “Transparent Tape” in the red tartan package (commonly available through office supply stores and elsewhere). Other adhesive tapes such as masking tape, magic tape, duct tape, etc. 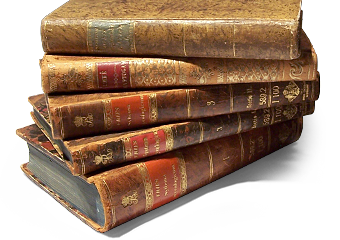 are unsuitable. Two to three inches of tape should be pressed firmly against the surface to be sampled. Once taken, the tape lift should be affixed on the interior side of a sturdy plastic bag such as a Ziploc freezer bag. During analyses, a mounting solution must be placed in direct contact with the suspected mould sampled on the adhesive side of the tape. As such, we are unable to process tape lifts where the adhesive side has been folded over onto itself as well as samples where the tape that cannot be peeled away from the bag surface (e.g. plastic sandwich bags).